Announcement Great savings if you are wanting unique handmade gifts at wholesale pricing to resell, gift giving or personal use. 5 items 25% off. Add 5-9 items to your shopping cart and use the coupon WHOLESALE5 at checkout. This coupon is year round! 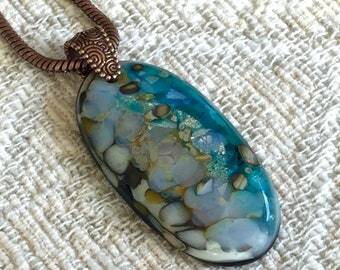 Great savings if you are wanting unique handmade gifts at wholesale pricing to resell, gift giving or personal use. 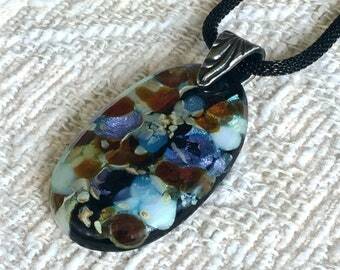 Fused glass pendant mix of purple, lavender, blues, caramel and black. 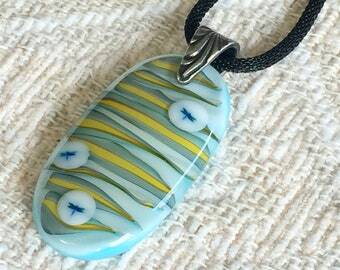 Dragonfly pendant with swirls of blues, cream and yellow fused glass. Fused glass pendant with a marbled blue, white tan fused glass. Love the colors of this bottle stopper. Such a wonderful process and final effect. I received the stopper quickly in a beautiful silver gift box all ready to send on to my lucky daughter! It's wonderful to give artisan-designed, and crafted, one-of-a-kind fine art gifts. Wow! Gorgeous bottle stopper. Just love it. It's so good to see you activating your Etsy shop after a time away. Welcome back, Mary! 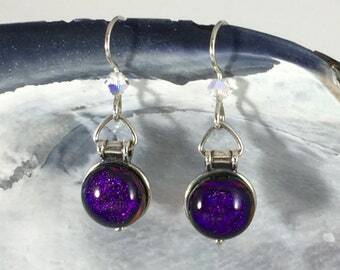 I'm loving your new selection of one-of a kind in the galaxy earrings, necklaces, rings, bottle stoppers and much more. Just beautiful. Shop owner, Mary, got back to me right away and was able to ship quickly. The bottle stopper was packaged elegantly--I am so pleased because it is a gift--even came with a thank you note and "gift card" to use for gift giving. 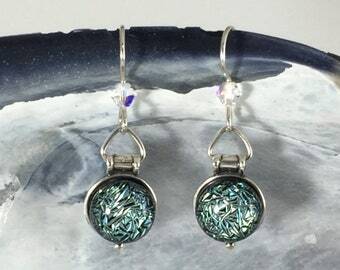 I highly recommend all of the one-of-a-kind jewelry and gifts in the Sunburst Arts shop. Antique brass jewelry patina'd and in the process of hammering in a dome shape for earrings. Sold: Love making fused glass stainless steel bottle stoppers with fun murrini designs. Optional stands under listings. Sold: Lots of designing, cutting, layering, and grinding along with extra firings but the end result was gorgeous. 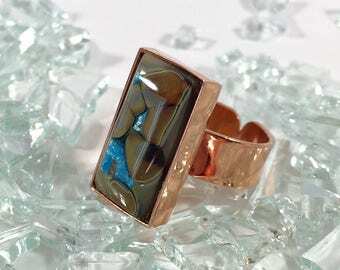 layers and layers of glass! I live and work in the foothills of Northern California in the gold rush area. I owned and operated Sunburst Pottery and Fine Art Gallery on Main St and Mendlein Arts in Camino. 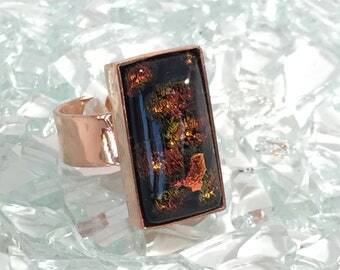 I have always loved the rich colors in my raku pottery, so it was natural to continue it in my fused glass and copper jewelry. I love designing small art piece that can be worn. My raku, burnished, and woven vessels have been represented by galleries, wineries, and gift shops in Sedona Az, Taos N M, California, and Ohio. My pottery was showcased in 2 of the prestigious EDH Ca "Street of Dreams" openings. I participated several times in the popular Sacramento Holiday Crocker Art show with pottery and fused glass jewelry and it was very special to me that my black burnished pottery representing Maria Martinez was part of the Crocker Museum Traveling Teaching Art Ark a number of years back. Some awards have included, "Potter's Choice" by fellow artists in the Sacramento potters group, Best of show given by Yoshio Taylor for a burnished pit fired piece at the Sacramento Potter's Show held at the McKinley Center, Honorable Mention and 3rd place at the Massillon Museum for raku and burnished vessels, and 2nd place at the Crocker Art Auction for a lidded raku bell ringer. 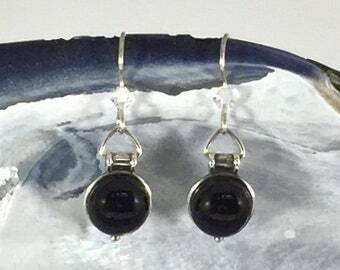 My jewelry and art is currently represented by the Massillon Ohio Museum Gift Shop, The Gallery at 48 Natoma in Folsom Ca, several local Christmas shows along with my yearly participation in the El Dorado Hills Spring Studio Tour and the EL Dorado County Fall Studio Tour. Juried national shows have included Denton Texas where my woven vessels were used for their posters and post cards, the PAA National Motherlode show winning an honorable mention, and a one woman show in EDH CA. Group shows have included Clay and Fiber Gallery in Taos N M, The Art Foundry and other Sacramento shows, and a group show at The Gallery at 48 Natoma in Folsom in 2011 called "Vineyard Vistas” with all raku, burnished and woven vessels. Sierra Heritage Magazine featured my burnished and woven vessels in "Following Her Bliss", and Designer Illustrated included my pottery in an article about home decorating. I love making rings, bottle stoppers, snap buttons for the gingersnap jewelry, and incorporate dragonflies, tree of life, hearts and skulls into my work. I have added keep sake boxes and many of the trinket dishes have Buddha, Namaste, Koi Fish, Flowers and Kimono designs. Thanks for looking and have a little Sunburst in your day! I will take great care in packaging your items in a gift pouch or box shown under item list. All items are sent USPS. Wholesale pricing and coupon can be found under shop announcements on top of home page if you are a winery, gallery, resorts, gift shop, clothing store or an individual stocking up for gifts! Located in the foothills of Northern California. I create art for your enjoyment as well as my own. I want you to be perfectly happy with what you have ordered, so please don't hesitate to send me a note with any questions or concerns. I love what I make and hope you do to. Thank you for looking and have a little sunburst in your day! Please send me me a convoy within 7 business days and return items within 14 business days. A full refund will be applied once item is received by Sunburst Arts. The customer pays for return shipping and all items must be returned as non used items in original condition and packaging. Please provide a tracking number for all returns. Thank you! Credit cards, debit cards, Etsy gift cards and Paypal are available for payments. Please see return and exchange policy. Thank you. SunburstArts items will be shipped USPS within 2-3 (business days) from the date of purchase. 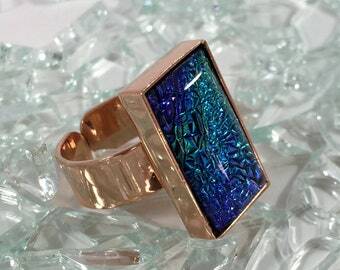 Jewelry items are not meant to get wet. Please keep in pouch when not worn. Buff slightly when needed with a polishing cloth. Jewelry, bottle stoppers and small items come in a nice gift pouch. If ordering a bottle stopper combined with a display stand, items are packaged together in a gift box as seen under the bottle stopper stands. FREE SHIPPING AND BULK DISCOUNT PRICES ON 5 OR MORE ITEMS!!! A great savings if you are wanting unique handmade gifts for the holidays, weddings, dinner parties, (wine events with bottle stoppers) or wholesale items to resell. 5 items 25% off. Add 5-9 items to your shopping cart and use the coupon WHOLESALE5 at checkout. 10 items or more 40% off. 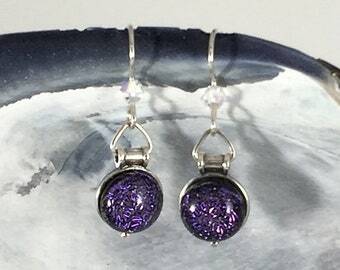 Add 10 or more items to your shopping cart and use the coupon WHOLESALE10 at checkout. I am happy to accept a cancellation but please be aware that sometimes I am able to get items packaged and shipped within 24 hrs. Once shipped, the customer pays for return shipping * Please see return policy. Thank you.